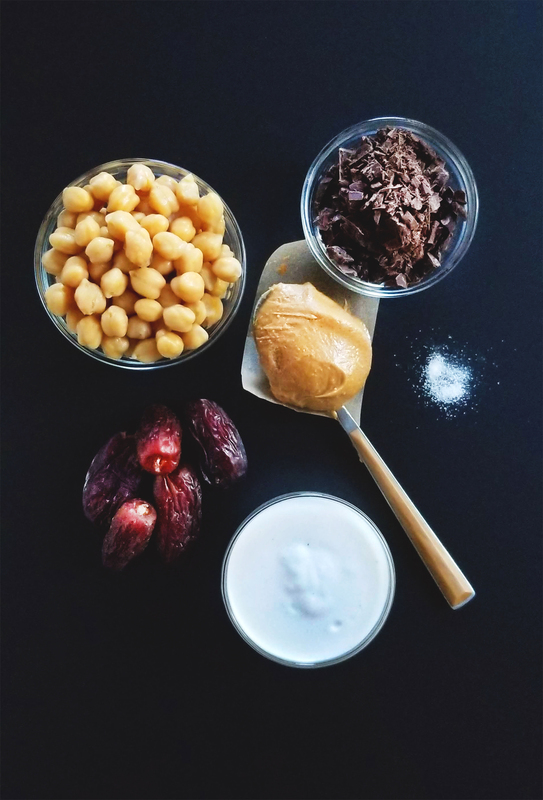 A few days later when I actually got around to testing this “dessert hummus” my husband had asked if we had any chocolate chip cookies in the freezer or snack drawer. Looking at the chickpeas in the food processor, I figured I would try to make a dough from these versatile little legumes. Blending the chickpeas with a nut butter (in traditional hummus, it’s tahini) creates a smooth rich texture. I decided to use creamy peanut butter and a little bit of plant based vanilla yogurt. That base gave me a great texture to add in other flavors. It was like having peanut butter cookie dough without any flour. 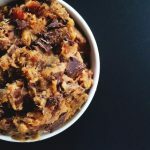 From this point adding in a heap of chopped medjool dates and some quality dark chocolate chunks gave this dough an incredible resemblance to raw chocolate chip cookie dough. Without the traditional flours, eggs, butter, and cups and cups of brown sugar. This dough is NOT FOR BAKING, trust me I tried it was not a pretty cookie. This dough is for those people who growing up always asked to lick the bowl of batter when their mom was baking, would eat toll-house directly from the package, or devoured cookie dough ice cream. In my opinion it is especially good cold, it gives the dough structure and the chocolate chips that satisfying bite. 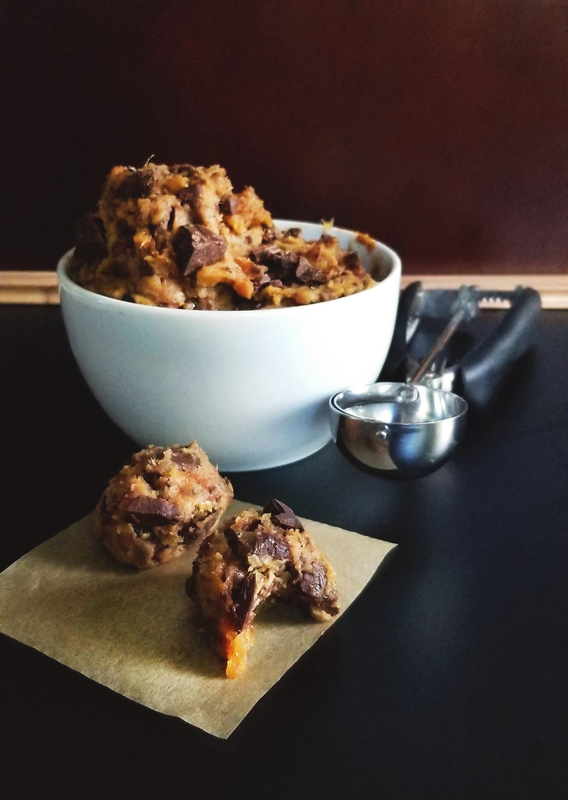 Whether you like it scooped out of a jar, or rolled into a log and portioned this whole foods version of your favorite guilty will delight your sweet tooth. 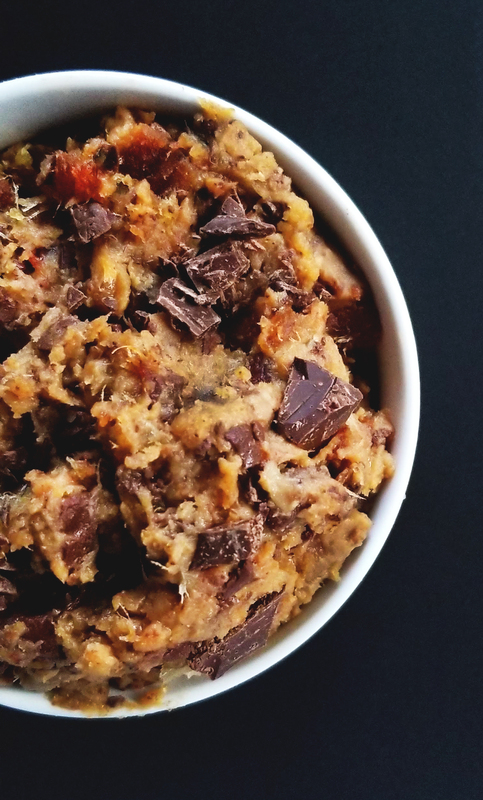 When your craving for raw cookie dough sets in...reach for this easy, protein packed and gluten free cookie dough. Keep it in a jar in the fridge or roll into a log and slice off a piece from the freezer whenever you need something sweet and chocolaty. Move the cookie dough base into a small bowl. Add in the chopped dates, chocolate, and pinch of salt. Fold into the dough until you find your perfect sweetness level. Store in an airtight jar or make a cookie dough roll in wax paper and keep in the fridge until your next craving hits! The amount of chopped dates and chocolate that you add is really a personal preference. 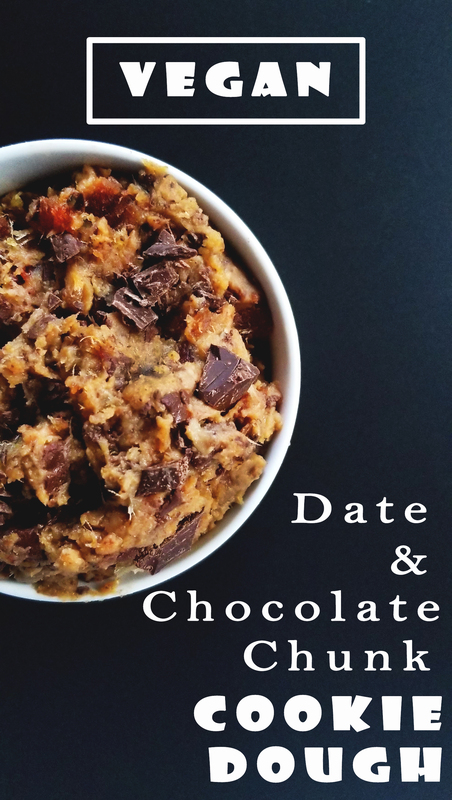 If chunky dates are not your thing you can always blend some or all of the dates into the dough, which creates a more even distribution of sweetness.